Have you heard the term “Skyscraper Content?” If not, then you could be missing out on a lot of SEO juice. 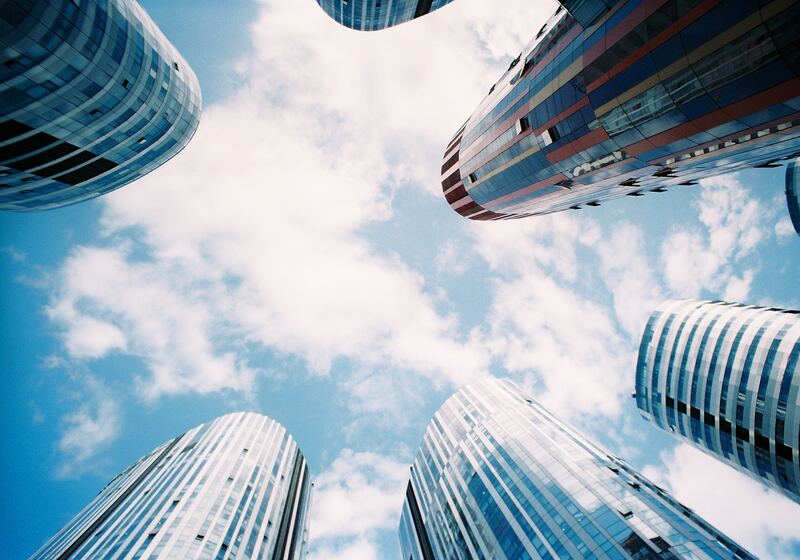 Skyscraper content involves finding content that performs well in your niche, creating something even better, and then promoting it through different online avenues. Originally coined by Brian Dean of Backlinko, it is a system many use today to improve their content online and generate more views. This type of skyscraper content strategy can help financial advisors greatly, and here is your guide to get started creating skyscraper content and increasing your firm’s SEO. Set up Google Alerts: This is a very simple way to type in keywords that you want to discover and having them sent straight to your inbox. As a financial advisor, be sure to include terms that are specific to your niche and target demographic. You can even tailor the frequency of the notifications you receive per day. Use keyword tools: With free tools like Google’s Keyword Planner and Keywordtool.io advisors can find new keyword ideas that are relevant to their niche in order to start building the basis for new content. You’ll be able to uncover keywords are trending within your geographic scope and demographic to choose the best topics to blog on within the industry. Check your Google Search Console: If you don’t already have this setup do it now! Here are instructions. This handy tool is incredibly valuable when it comes to checking not only your current rankings in Google but what keyword queries searchers are looking for. If you forget everything else in this post this is the most important part. Creating content is what will ultimately drive people to your site after you begin promoting it. Your website content is very important as well as the blog content your producing in order to draw readers in to what you are creating. However, at Twenty Over Ten we understand that creating a regular stream of your own content can be a time consuming process or perhaps blogging is just not your cup of ☕. That’s why all Twenty Over Ten users have the option to add Content Assist to their websites. 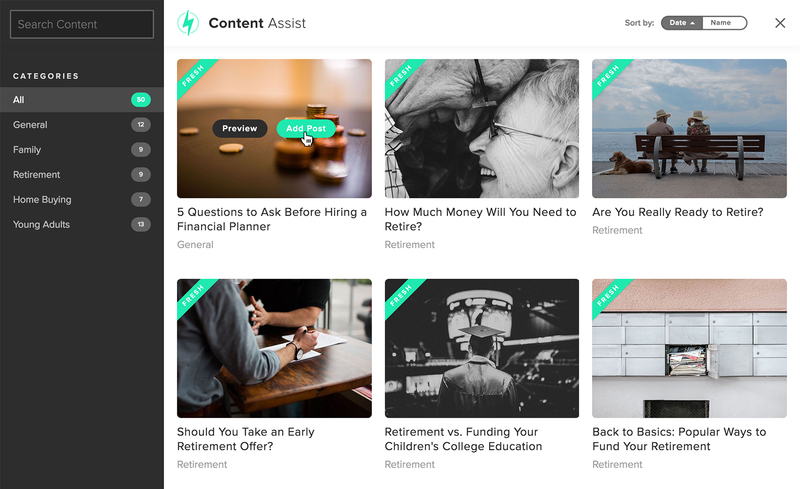 Content Assist is a new type of content offering solution on the market that was developed specifically for financial advisors to assist them in creating blog posts. 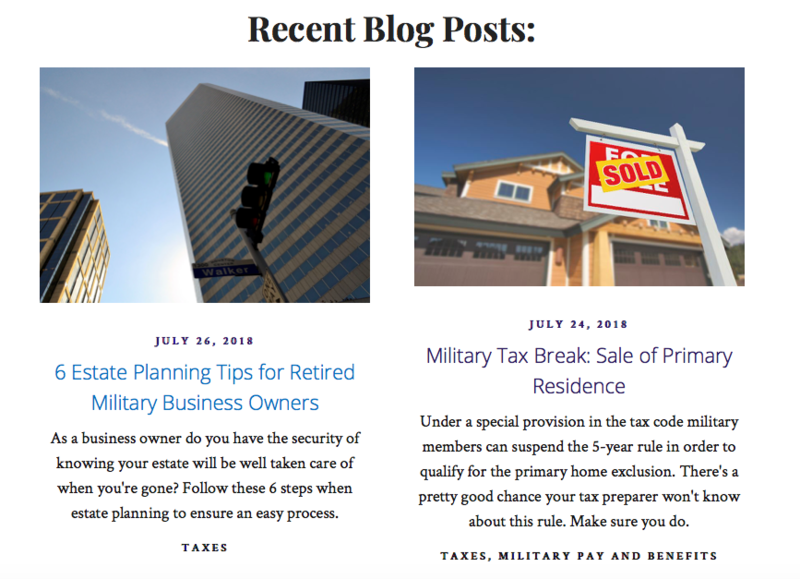 Once added, users are able to choose blog posts by category (retirement, home-buying, young adults, etc. ), load them into their website, and then edit and further optimize the content for search engines. Advisors have the ability to customize and edit the content to add their voice, SEO keywords, and further promote their expertise, or use the content as-is. Add more detail: Detail is incredibly important when creating your skyscraper content. You want to ensure that you are adding in the things that will make you company stand out from your competitors. Making blanket statements or speaking to an overall niche won’t show what truly sets you apart from other advisors. Detail is the crucial element that allows advisors to make content with the correct audience. Experiment with your new content: With this, you need to see what works. 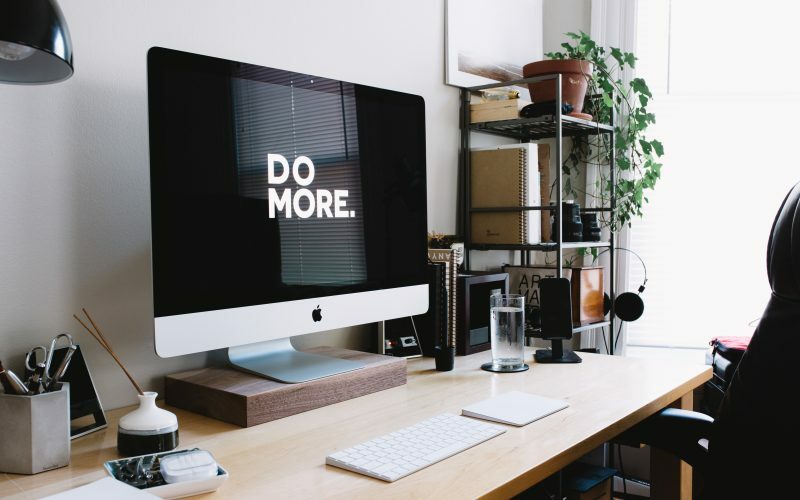 Even though seeing a quick uptick in your site traffic or SEO ranking is great, it’s important to remember that in digital marketing results take time. 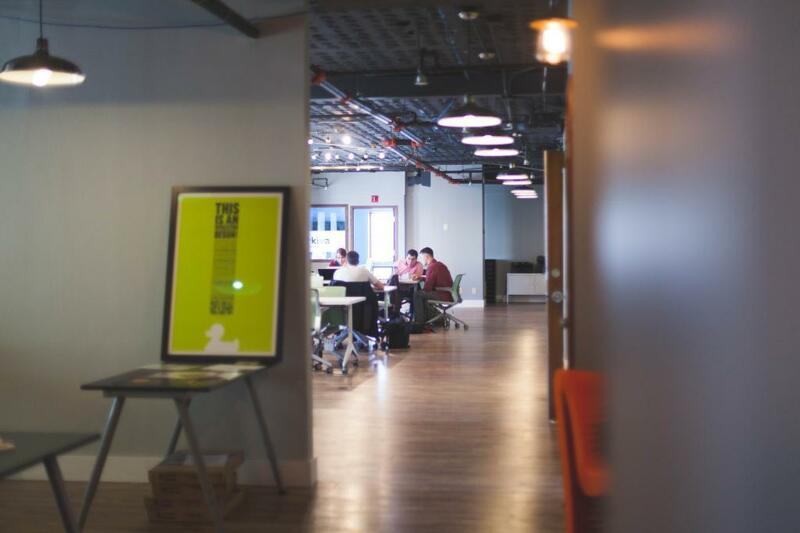 In an industry that’s constantly evolving, it may take a few trial runs before you really see what gets others interested in your work and gains new leads. Make content digestible: We’ve said it before, and we’ll say it again — forget the financial jargon. Most everyone is not familiar with financial terms, which is why it’s important to make your content easy to read and process. Once you’ve kicked the jargon to the curb also consider changing up the formatting of your blog posts. Breaking your content into different sections, similarly to what we’ve done in this post, will make it easier for your readers to find the information they need quickly and the header tags will also boost your SEO. Ask yourself who is interested in what you have to say. Start with who you know, do you already have and email list established so you can communicate with current clients or perhaps other contacts that you have made through the years? If you do, then these folks are great groups to include on a distribution list. Creating distribution lists for your content will not only increase traffic to your website or blog but it will also increase the chances that your content will re-shared by others. This step is extremely important, as once you have created your awesome new content, no one will ever see it unless you really promote it! Start by reaching out to the lists you created in the step above. It’s also important to share your skyscraper content on your social media channels. 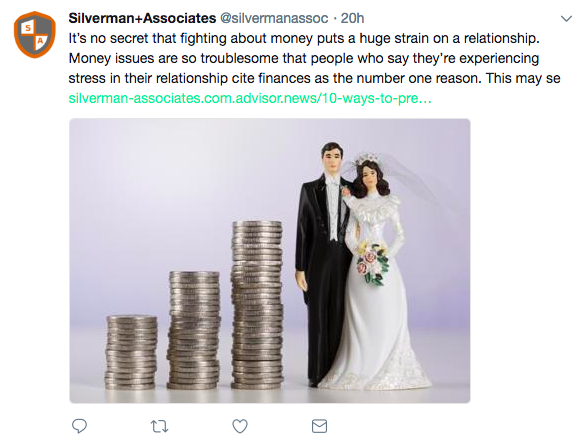 In the example below, Twenty Over Ten client Silverman + Associates, shares a recent blog post on their Twitter page. This is also a good opportunity to branch out and start sharing your work with a list of targeted influencers, brands, and other bloggers who publish and share related content. Consider tagging or mentioning these influencers when sharing your new content on social media. Doing so will raise awareness of your content and hopefully encourage them to re-share it with their network of followers. No matter how great your content is, like anything, the financial industry is constantly changing. Competitors will publish new content, the industry will change, and new situations are always arising. Making sure that you continue to update your content so that it is relevant to your audience is crucial to thrive in a digital world. Not to mention, Google started introduced a freshness factors as part of it’s top ranking algorithm. Not only does that mean doing your research and staying on top of trending topics as mentioned in step one but this also means optimizing your older posts. Whether you wrote a blog last month or three years ago they’re considered “old” now. As more and more businesses understand the importance of content and more begin to blog the competition gets fierce. Not only will optimizing your older content give you that leg up you need it will also give your readers the most up to date information they’re looking for. Review your analytics: Your analytics will give you a great deal of insight into which of your older blog posts are already performing well. Take a look at those high-performing posts and start generating a new list of keywords to target. Make noticeable improvements: The whole goal behind optimizing your old content is to provide readers with the information they seek and to also out-rank your competitors, right? Right. So when optimizing your posts it’s important that you make noticeable improvements to the content. This includes building upon what you’ve already done and making your content even better than whats already out there. Also consider adding in new links to either outside resources or to other relevant blog posts of yours before republishing. Re-share: Although we hope you’ve already shared these older posts on your social media channels in the past it’s not a bad idea to re-share them again once you’ve updated and re-published the content. Change your CTAs: After reviewing your analytics, maybe your getting a lot of views but not clicks or conversions. Consider changing the language of the CTA to ensure it resonates better with those who are seeking that type of content and information. Keep that editorial calendar: We’re not saying you can throw your editorial calendar out the window and just start optimizing old posts. Optimizing should be just one small piece of your overall blogging and content strategy. There is a balance between optimizing old and creating new, which you will have to determine. At Twenty Over Ten, we try to make it a habit to optimize at least one piece of older content once a week. Twenty Over Ten’s client, C.L. Sheldon & Company, ensures that they continually update their blog posts in order to stay current.